"We probably have more than 25 per cent of the skeleton, which is phenomenal." 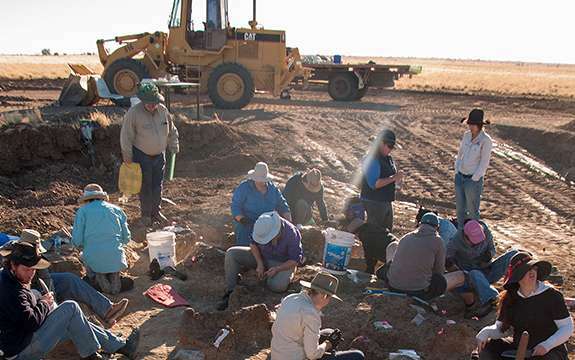 Two weeks of digging at the site revealed the bones of the sauropod dinosaur, now nicknamed 'Judy' after Mr Elliott's mother, Judy Elliott. She and her husband Dvid Elliott founded the Australian Age of Dinosaurs Museum in Winton in 2002, and she has coordinated the digs for more than a decade. 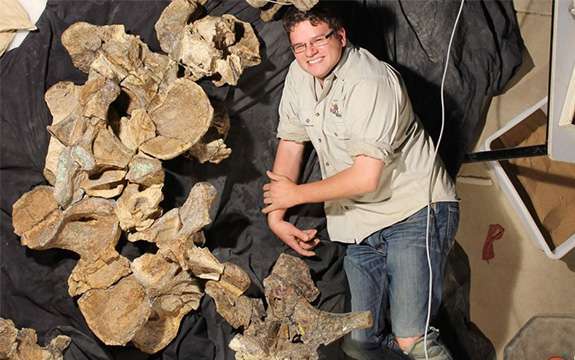 The fact that so many bones of "Judy" are preserved has led Dr Poropat to believe that this specimen will give scientists a better understanding of Australia's Cretaceous sauropods. "We will be able to understand many aspects of this sauropod's anatomy, simply because we have so much of its skeleton. "By studying its teeth and neck in particular, we might be able to shed light on how it fed. Better yet, we might just have direct evidence of this too, since a section of the site between the chest and the hips preserves what might be gut contents." 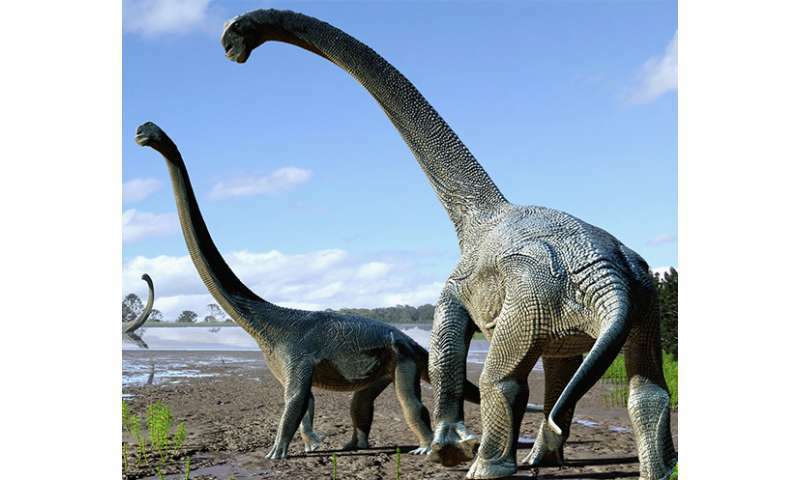 "We still have a lot to learn about many aspects of sauropod behaviour, physiology, and – in the case of Australia's sauropods in particular – skeletal anatomy. 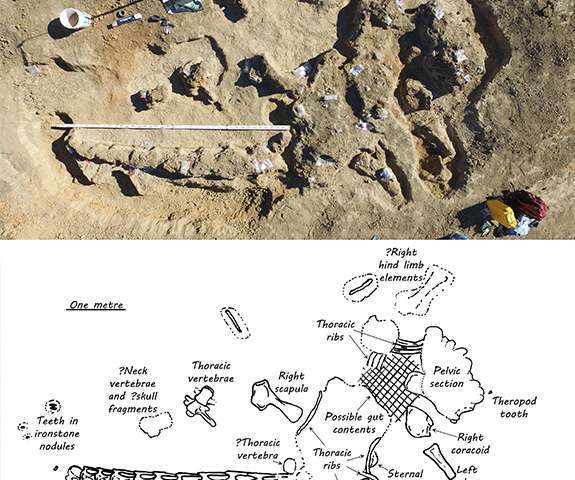 "This new specimen will probably prompt more questions than it answers, but it will still provide us with a unique snapshot of the life – and death – of at least one sauropod individual that roamed Australia 95 million years ago."